Our flagship speaker cueing product for the professional who needs to make sure their show works without a hitch. 3 USB ports individually enabled. mono and stereo intercom headset loop through. Desk, End or Rack mount. Our Flagship speaker cueing product, MasterCue V6, now has 3 USB ports for multiple computers. such as Main, Back up and Next configurations. the 4 pin and 5 pin loop now on the front of the unit allows for easy access to the intercom beltpack. the V6 displays conference cues visually as well as producing audible cue sounds via the in-built speaker or headphone output. supplied with 2x dual button controls, the presenter can signal either next or back cues during the presentation. 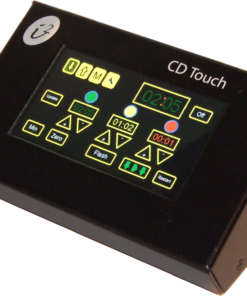 Other features include programmable remote cue buttons to control the presentation per USB (e.g.return to the beginning of the presentation, take the screen to black, etc). A speaker Confidence Lamp provides the presenter with a clear, on-stage, coloured, visual confirmation of their cues. 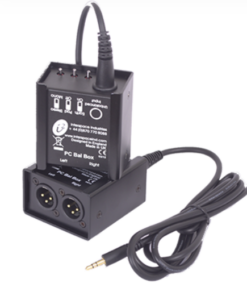 The system is easily installed using standard 3-pin XLR (mic, not supplied) cables and the rugged design has been designed to stand up to the most rigorous industrial use.